OK before i start credit for the swap gos to lazzer408 for doing the work and finding out how to do this. 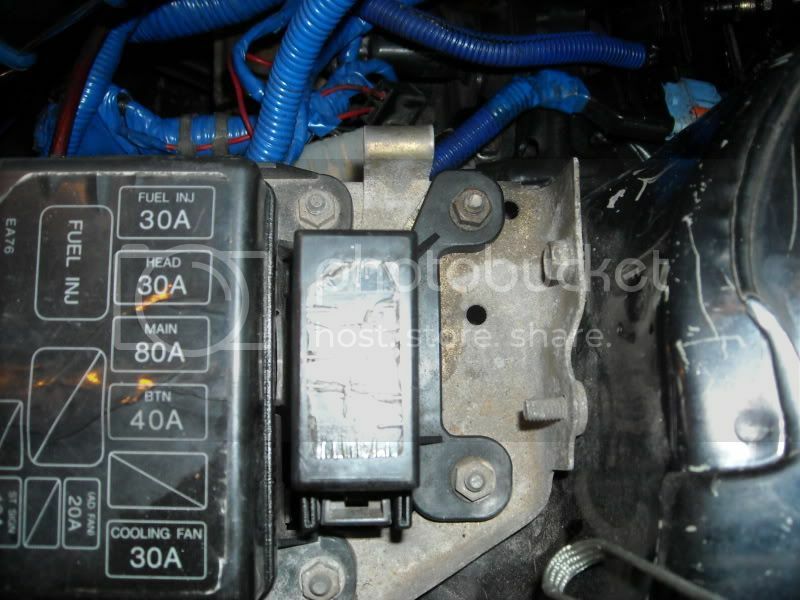 In this wright up I will explain how to switch your 94 and up b6de "all in one" distributor for the more common and cheaper version which has an external coil and ignition module. 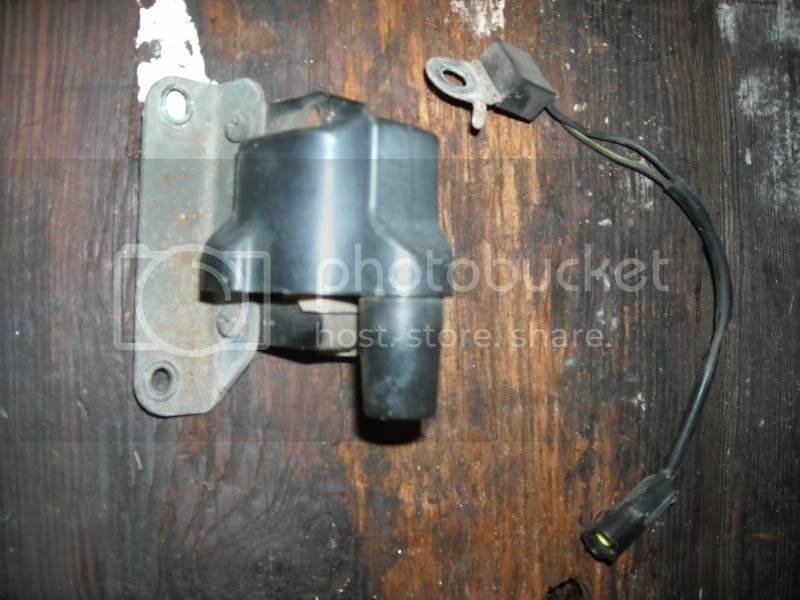 -OK now this is the important part, you will need the pigtails going to each of these parts and they are only available from a junked car but luckily are plentiful. when you pull these pigtails you need to leave yourself a LOT of room mainly for mistakes and measuring so CUT WISELY. OK, now that we've spent all of our money on parts we get to the fun part, Prep/Installation. 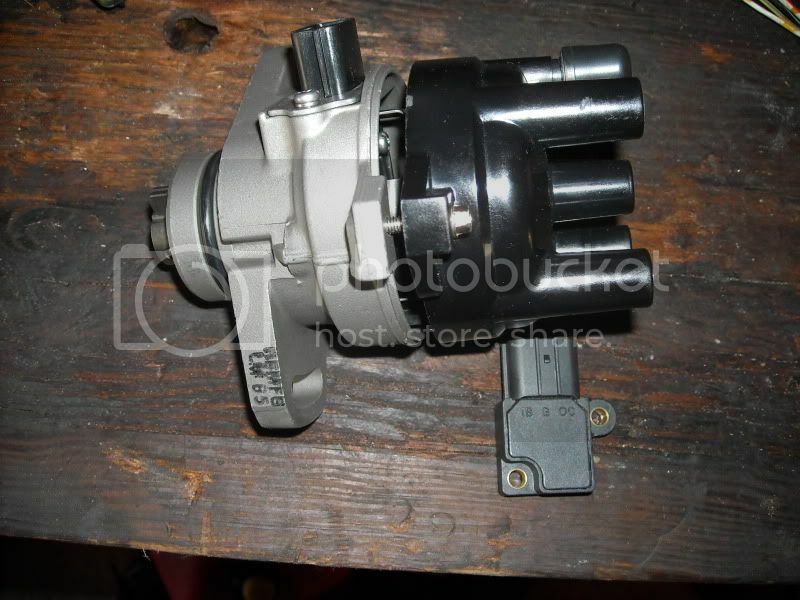 Obviously, we start by taking the old parts off of the vehicle...which is just the distributor...hopefully you can accomplish that :p.
From this point I installed the new distributor simply to keep my internals from being exposed to the weather so i recommend the same. This will be the finished product. 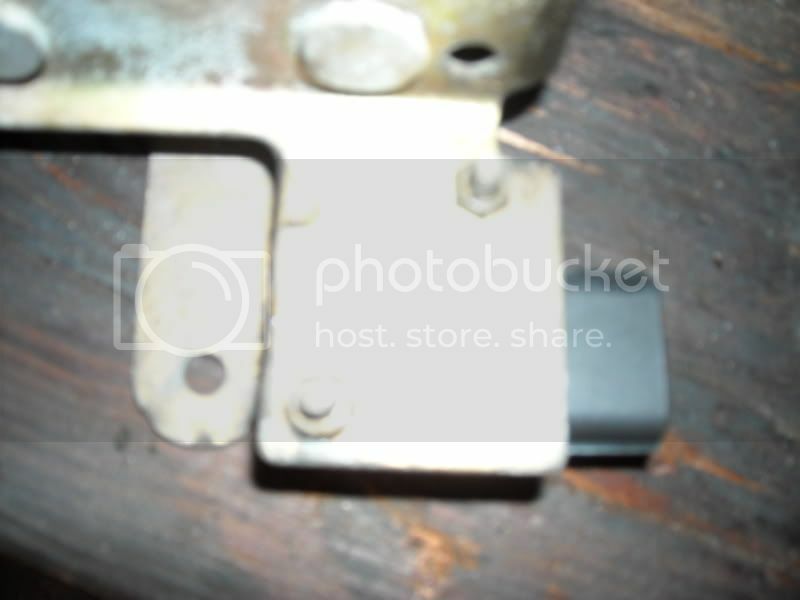 Please keep in mind you will be using the bracket as a heat sink for the r.i.c. and the module so CLEAN IT. Now we need to install the module. Please make note the direction that i placed it, this is probably the easiest direction to access the plug from so i recommend doing it the same. Also, there is a packet of die-electric grease that came with the coil...use it liberally. From this point, we need to reinstall the bracket in the reverse manor but before attaching the fuse block we need to place the R.I.C. 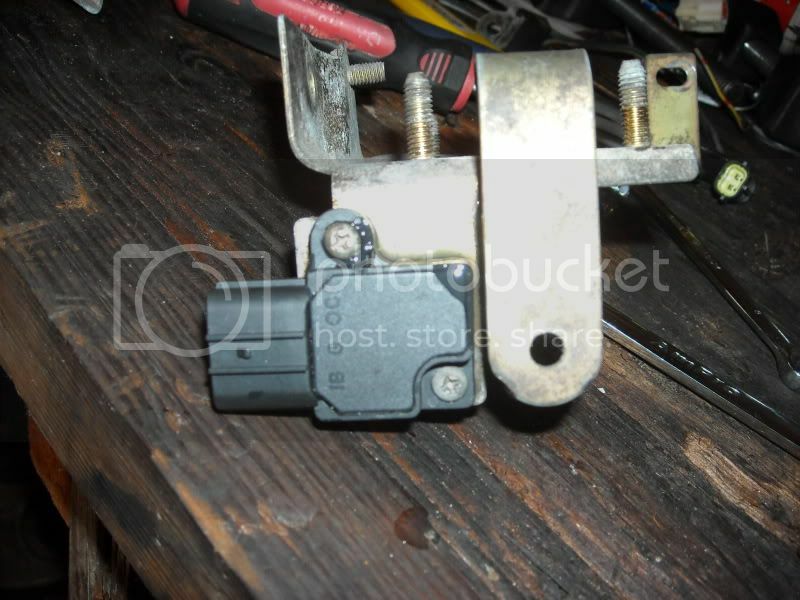 on the post closest to the ignition module and place the block over the top of it. 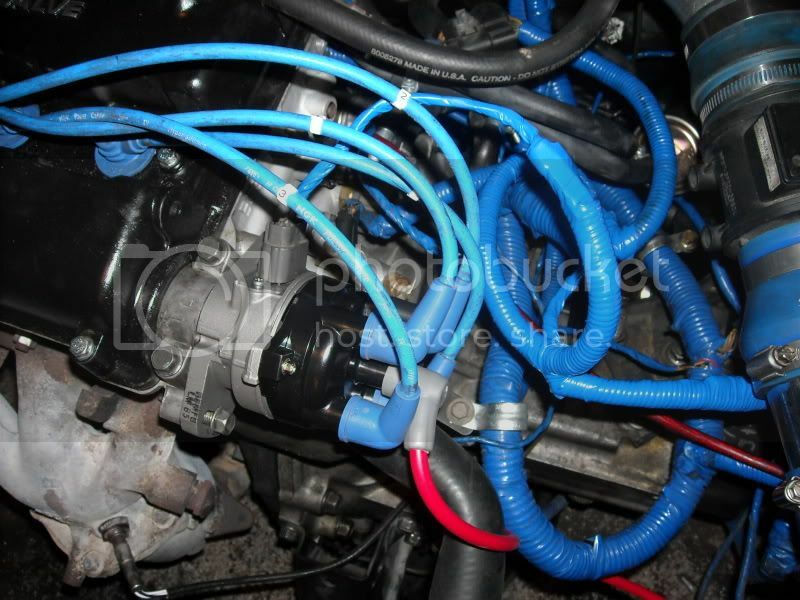 Next we want to prep our factory wring harness to be spliced. 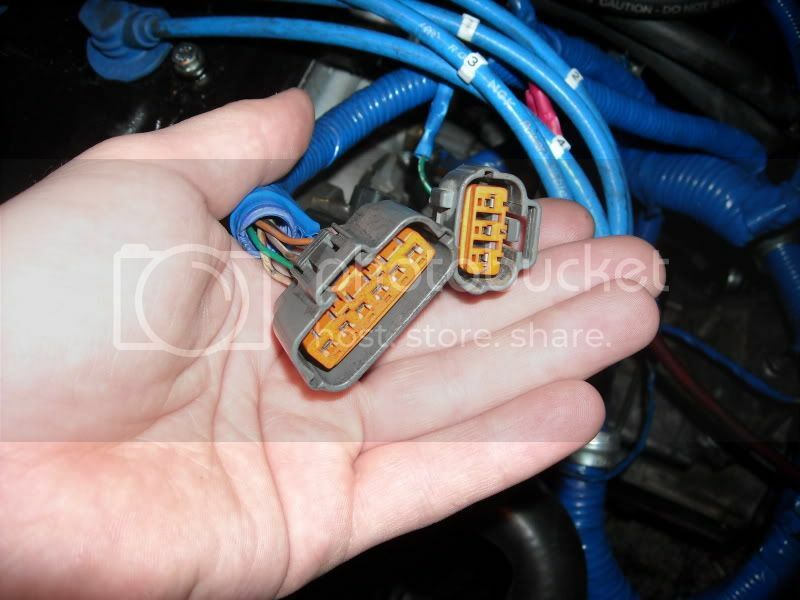 Cut these two plugs off and remove the heat shielding a few inches back to give yourself enough room. 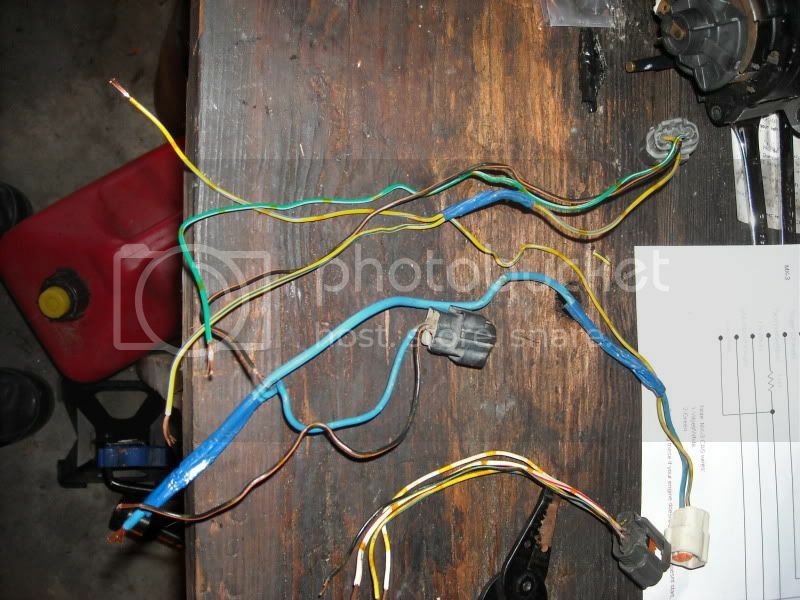 There are a few wires on the main jumble that will need to be crimped together to be adapted to the old harness. The colors are yellow/blue and black/orange so crimpy away. 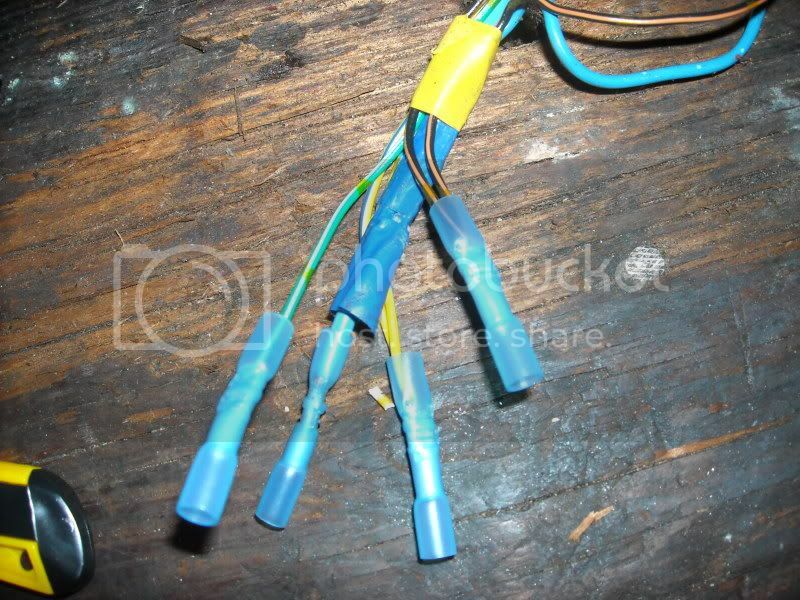 This next part your on your own but you shouldn't have too much trouble attaching the wires being as its just a color match up. 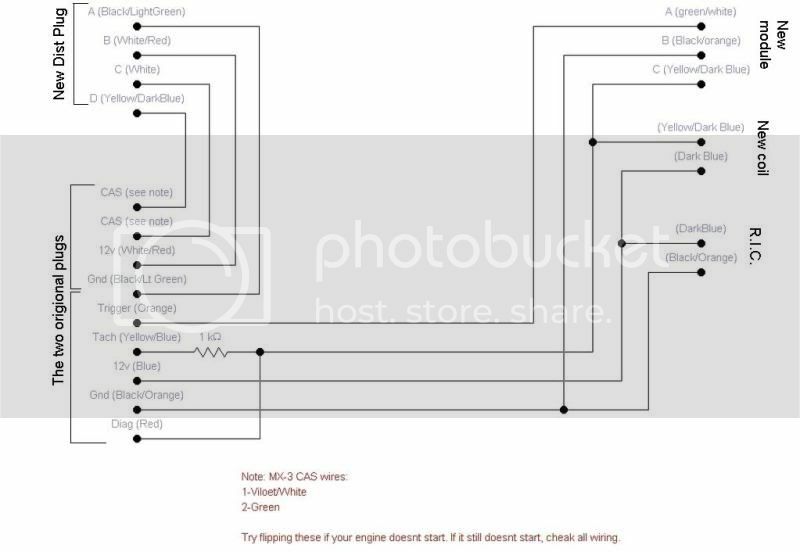 This is the wiring diagrams made by lazer408 with a little more clarification for those of you not familiar with the car. Last edited by 4gotn on May 20 2011, 3:17 PM, edited 3 times in total. The conversion to the single coil setup is still on my 3 and working flawlessly. 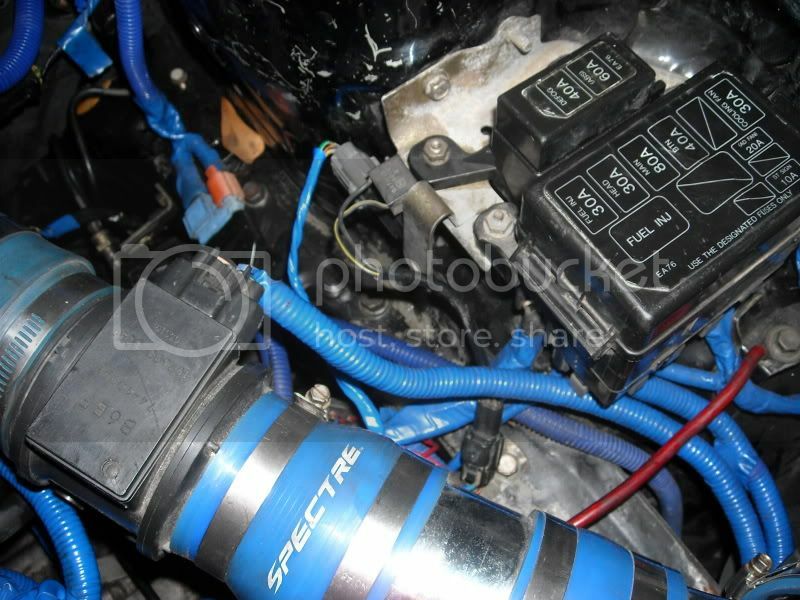 -IF- the ECU was the same as the Miata (might be able to swap?) 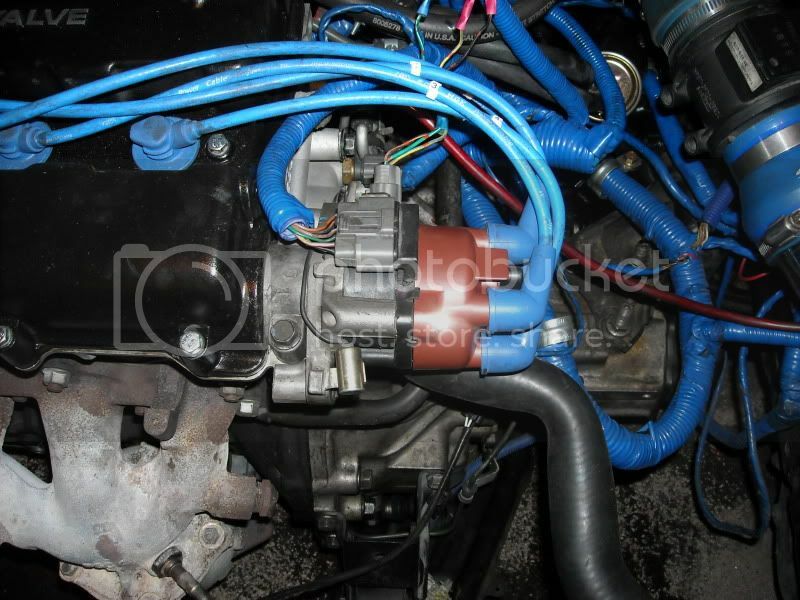 you could drive the Toyota 1ZZ-FE coil-over-plug setup that I came up with for my Miata. The thread for that conversion is on the miataturbo forums. 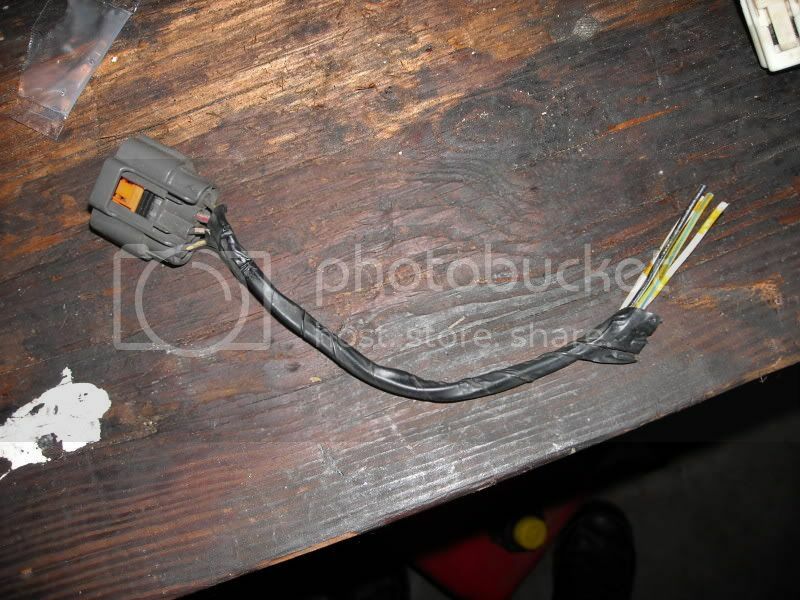 Braineack is now handling that swap and I believe he's selling the adaptor harness and mounting plate but remember this is for the Miata that has an ECU with 2 trigger outputs. 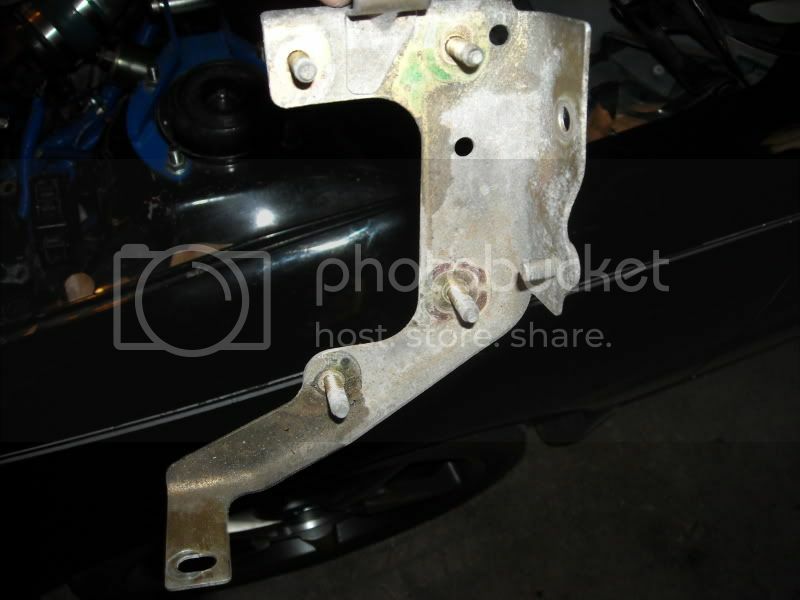 The mounting plate would probably work but you'd have to chop up his adaptor harness so you might as well grab the connectors off the car you get coils off of. 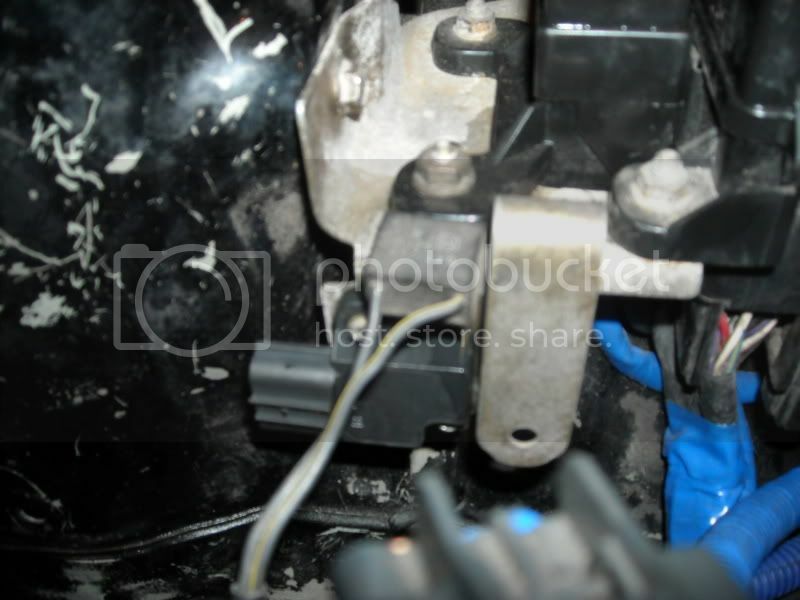 You'd have to wire up a 94+ Miata ECU in your MX3 in order to do this conversion anyways. Just thought I'd note it. anyone want to sticky this thread>?? The Toyota COPs are running strong for alot of Miatas. I haven't heard of any failing yet. Braineack isn't working with MX3s so It's unlikely you'll find a guide for COPs on the MX3. -IF- I do the conversion to my 3 I'll let you guys know how. back to work. p.s. how would i set up a msd system to this mod would there be anything special i would have to do? If you wanted to fire the single coil with an MSD box go for it. The single coil setup is a 2 wire coil so MSD wiring should be fairly simple. Don't waste your money on MSD though. 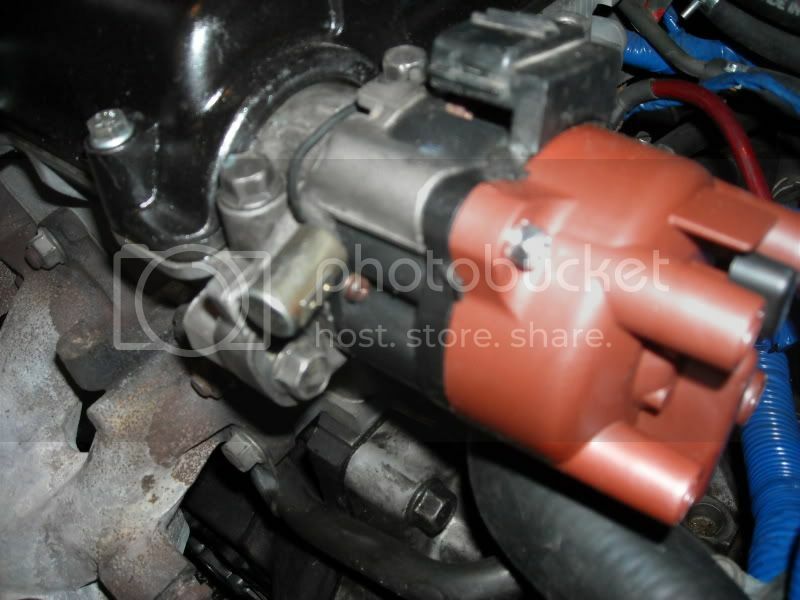 The single coil with seperate distributor and OEM 7mm wires fires 12psi on a .032" gap without a miss. Buy the things you need not things you don't. MSD isn't needed. EDIT - If your running boost and talking about the MSD 'boost timing master' then YES! it will work! and in that case it is a worth while investment. so adding a msd coal and a MSD-6A Ignition Control would really not help any .. even with gas mileage? Not in my opinion. I used to run the MSD in my Monza back in the day and I didn't notice any improvement in power, driveability, or miliage. MSD is Multiple Spark Discharge. It fired multiple times for each pulse from the stock ignitor. How many sparks does it take to ignite the mixture? One. What it did do was burn up my coils in a few months so I had to buy the MSD (blaster?) coil. If anyone has trouble finding the NGK BKR7ES-11 plugs, go to an ATV retailer. It's used in the Polaris Sportsman iirc. 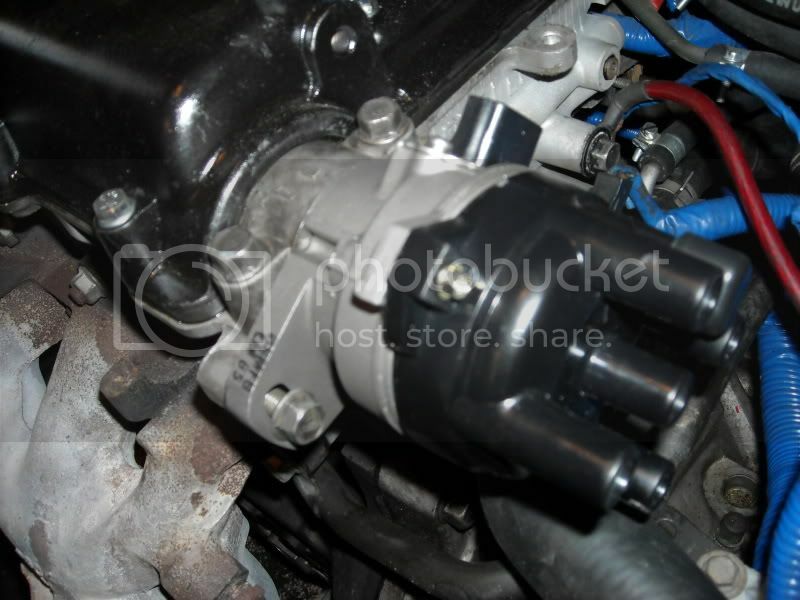 well im asking because i have an idle problem .. i fixed it (the most part really cracked a valve) and i still have a idle problem i read up on it and it said it can be the coil or the icv i was going to get a bigger tb and the icv will be on the new tb but would it work... question can you get to top speed with the stock coil i can not brake 90 so would that mean it the coil?